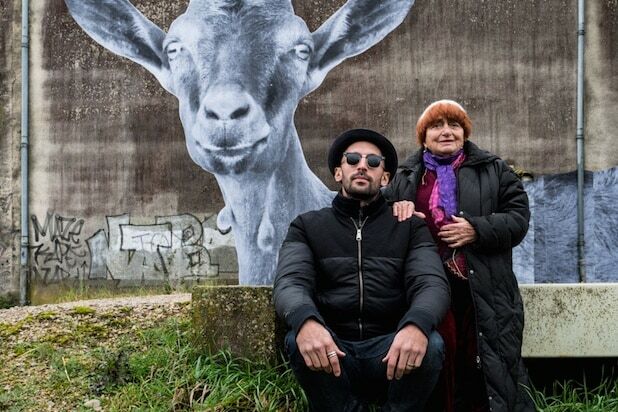 This interview with Agnès Varda and JR about “Faces Places” was conducted for the Race Begins issue of TheWrap’s Oscar magazine. An Honorary Academy Award is usually the kind of career-achievement honor given to artists who are no longer active, but that’s not the case with one of this year’s recipients, Agnès Varda. 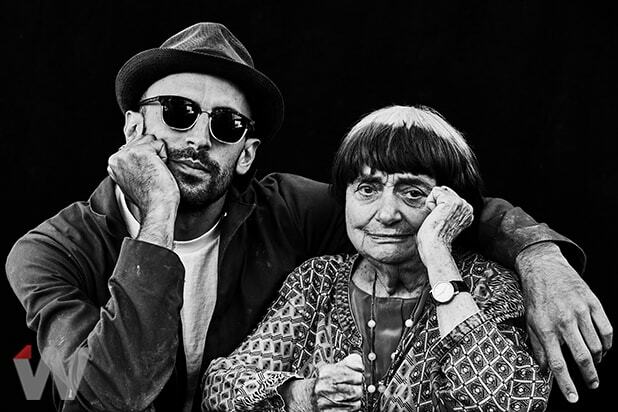 Not only did the pioneering director, a rare female filmmaker to come out of the French New Wave, win her Honorary Oscar on Saturday, but she is in the thick of this year’s Oscar documentary race with “Faces Places,” the open-hearted, utterly beguiling travelogue she made with French street artist JR.
Varda, 89, and JR, 34, roamed the country photographing and interviewing villagers and factory workers, putting their stories onscreen and blowing up their portraits into huge murals that covered the sides of buildings. 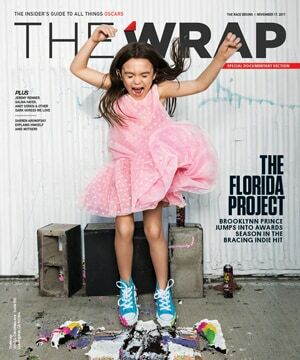 There is impish wit, tenderness and love in this collaboration, which Varda and JR spoke about to TheWrap. How familiar were you with JR’s work before you made this movie? AGNÈS VARDA I knew books. I saw a book where he took portraits of very old people. I was impressed that he made portraits of old Chinese women in Shanghai, old Cuban women in Havana. So I liked that very much. We had never met. But my daughter Rosalie, who ended up producing the film, called him and said, “Why don’t you come say hello to Agnès?” So he came. The first day, he took a picture of me. The next day, I went to his studio, I took a picture of him. The third day we were in my kitchen thinking about what we would do. Eating cakes. Eclair with chocolate. Drinking fruit juice. It was sudden. We have used the sentence friendship at first sight, and it’s really what happened. “Friendship at first sight” is a good start, but that doesn’t make you collaborators. VARDA That’s why we went in the kitchen. We said, “What could we do? Maybe a short, or an installation.” Building something with our two minds. It would be images and sound, like cinema. And we did that crowd-funding on the net. We said, “We’d like to do something together. We need 50,000 Euro. Could you give them to us?” And people sent 12 Euro, 20 Euro … They are all named at the beginning of the film. In the credits, we have 420 names. How did you choose where you would go with your cameras? VARDA We start in the South of France because we knew people there. Because I’m old and easily tired, we decide to work only one week a month, over 18 months. We wanted to have a sociologic point of view about people. We love people who have no power. Unknown people. We love to give them the light that they don’t have every day. We thought we should learn about these people, and share it with the audience, in a good mood. Because we are both in good mood. It’s obvious. VARDA The main word is link. Link between us and these people. And now it is a link between those people and you. You feel like you know them. That mood of playfulness, delight and happiness is very different from most documentaries these days. VARDA We know the world is disgusting, the news are terrible. You open the TV news, it’s one bad news after another. So much tragedy, people dying. Plus the violence, plus the migrants everywhere trying to escape poverty to go to another poverty. And the people drown in the boats… We see the news, and we suffer to be in a century of so much tragedy. But should we add to the news of the bad times? We have been there. We saw the attack in the Bataclan club in Paris. We saw everything. So we decided, “Let’s do it among peaceful people.” We never asked them their opinion in politics. We did not want to know. Just their life, their family, their thoughts. I’ve been fighting in my life. I remember being in the streets as a feminist. Being in the streets as a leftist. I still believe, sometimes you do action like this. But then, as artists, our way of action is different with this film. As I say, we did not ask them about politics. We just decided to make them be in light. Was it hard to figure out how to structure the film? JR Yeah. But that was in the edit, and Agnes love editing. It’s really her master room, where day and night, in her sleep, she thinks about all those ideas. VARDA I wake up in the middle of the night sometimes and think, “That shot could be better,” and then I go back to sleep. I do editing in my dreams. No, not my dreams. My half an hour awake in the middle of the night. JR I’m sure you edit in your dreams. 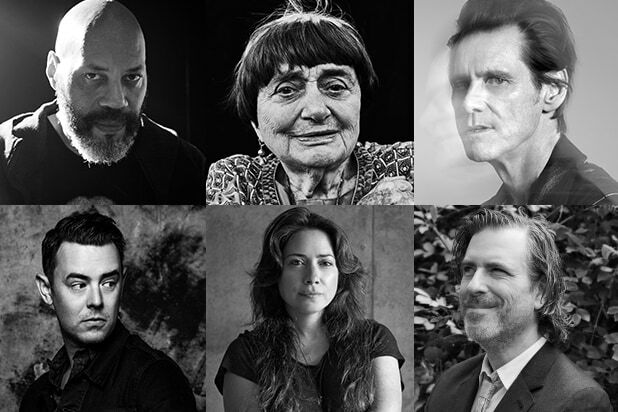 VARDA In my dreams? No. I dream of nothing. No work, nothing special. JR Do you have science-fiction dreams, or do you have dreams like me? My dreams are like, I pack my suitcase, I’m trying to go to the plane. I have very classic stress dreams. What are your dreams? VARDA I have stupid dreams, I would say. They are nothing artistic, which disappoints me so much. I know people who work from their dreams – they have, like, artistic dreams, and they are telling me and I think, “Oh my God, I would just film what they say.” But I dream of putting things away, on ladders, in boxes. I would like to be an artist with dreams of images. And especially I would like to dream about surrealistic things. Because I love surrealism so much – the poetry at that time, the painting, the nonsense, the absurdity of surrealism got to me. But it didn’t come to my dreams. Sorry, sorry. Your old friend Jean-Luc Godard didn’t show up when he received his Honorary Academy Award, but you did. VARDA It was nice, I think. I guess we get awards because we have worked for the cinema, but we didn’t make money so we get honorary ones. We are in the margin, and proud to be there. The honorary award makes clear that I’m not in the business game. But I am in the cinema game. I’ve been always interested in the language of cinema, in the way you can use the cinema to push the people to dream and think and open sometimes a window that they forgot to open. I love the idea that we slightly change their mentality, at least related to images and sound. We cannot change the life, but we can bring the fresh air sometimes.